Joshua graduated from the University of Reading in 2011 with a degree in Law (LLB). Whilst at university, Joshua worked both internationally (Zimbabwe) and domestically covering international law and human rights. 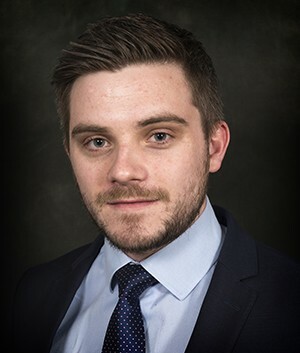 After completing his LPC at the College of Law (Guildford), Joshua joined a local criminal defence firm working as a Police Station Representative and within the Complex Cases Department working on offences including serious sexual assault and murder. Joshua joined Gordons in March 2014 and our Healthcare department in January 2015. Joshua works as part of the Regulatory team. He assists healthcare professionals either directly or on the instructions of a leading Medical Defence Organisation in investigations by their regulatory bodies, primarily the General Medical Council and General Dental Council. He has assisted doctors through extensive investigations appearing at Interim Orders Tribunals and substantive MPTS/GDC hearings. He will usually conduct his own advocacy at Interim Tribunal hearings. He has worked on high-profile cases and is familiar with the issues arising from adverse publicity. Joshua also assists doctors either called to give evidence at inquests or named as Properly Interested Persons. He has particular experience with large-scale prison inquests undertaking his own advocacy as and when appropriate. Joshua continues to advise doctors through criminal investigations. He attends police stations throughout the South of England and specialises in offences alleging inappropriate treatment amounting to grievous bodily harm and healthcare professionals who face charges of gross negligence manslaughter. He also assists healthcare professionals who face non-clinical offences and is able to double up on his advice to cover possible regulatory action as a result of criminal investigations/charges. Outside of work Joshua is a keen (Ireland) rugby fan.